It’s a big world out there, and there’s so much to see and ski beyond the normal resorts in the Alps and North America! In this article you’ll find details of some of the weirdest and most wonderful cat skiing destinations around the world. 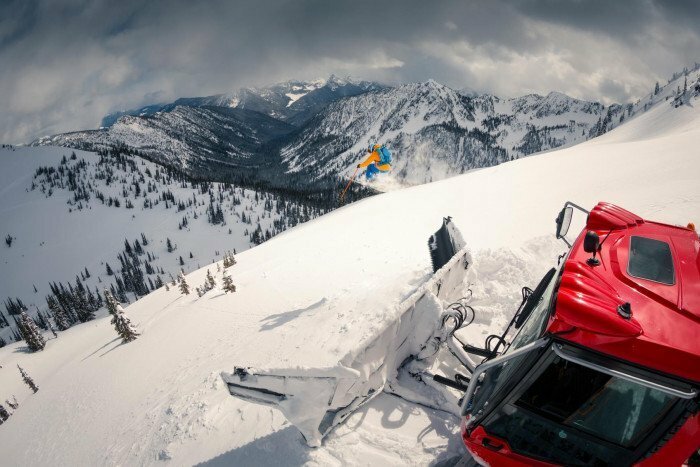 Snowcats are like powder chariots, charging through the mountains and delivering rampaging powder hounds to untracked stash after untracked stash. They may be slower than helicopters, but they’re also much cheaper, and have the key advantage of being able to run in the midst of even the biggest storms. If you want to ski deep cold powder that’s so fresh it’s barely settled without the ravening hordes in the resorts, look no further! And yet… While deep snow and great terrain should be the cornerstone of every ski or snowboard trip, a bit of colour and culture just makes things that bit more interesting. The Alps and North America have unquestionably great snow, but they’re a bit lacking in the adventure department: a big trip doesn’t feel quite so special when Bob in the next door office and Sarah from Accounting did the same thing last year. 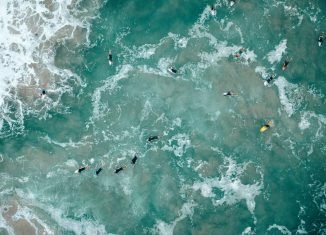 It’s time to start looking further afield and find somewhere more exotic. The most apt adjectives that come to mind to describe Russia are big and wild, but Siberia takes them to whole new levels: with an area of 13.1 million square kilometres, Siberia accounts for 77% of Russia’s entire landmass, with just 27% of the population! Priiskovy Catskiing run trips from the village of Priiskovy, Khakasiya Republic. The area is an absolute freeride paradise: winter comes early with a deep powdery snowpack from mid-October onwards, slopes range from 15–51º with 700-1500 vertical metres on offer, and the sparse vegetation is ideal for skiing fast but provides just enough contrast to help with visibility on storm days. Travel: fly to Moscow then take a domestic flight to the central siberian town of Krasnoyarsk, where a representative of Priiskovy Catskiing will pick you up for the 6 hour drive to Priiskovy. Macedonia lies in the Balkan peninsula in Southeast Europe, and as a result of an ongoing dispute with Greece is officially known as ‘the Former Yugoslav Republic of Macedonia.’ The country is geographically defined by a central valley formed by the Vardar river, which is framed by the Šar and Osogovo mountains; sandwiched between the Adriatic, Black and Mediterranean seas, the Macedonian mountains receive some pretty underrated snowfalls! 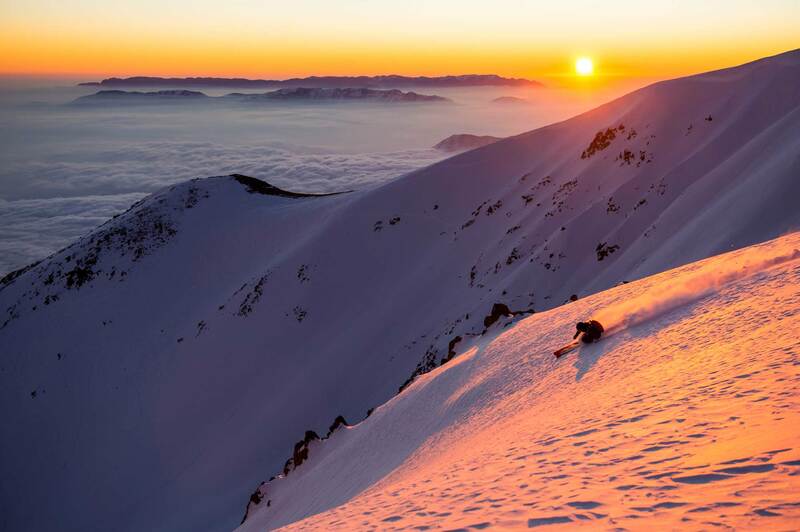 Eskimo Freeride offer catskiing from their base in Popova Shapka, with 32 square kilometres of terrain to play with on the locally named Shar-planina or Shar mountain. Pine wood forest extends to about 1700m, with alpine terrain rising up above that to 2747m at Tito’s peak; on storm days you can ride in the trees, moving higher into the alpine bowls and chutes when conditions allow. The best thing? Skiing in Macedonia is very affordable, and you’re incredible unlikely to have much competition for fresh tracks! Travel: Fly to Skopje airport, and Eskimo Freeride will pick you up and drive you the 120km to their lodge. While Japan has received it’s (well deserved!) fair share of hype as a ski destination the last few years, it certainly still ticks the exotic box! The culture is as crazy and chaotic as it comes, and food ranges from the truly weird to the definitely wonderful – deciphering which is which from the menu is half of the fun! Hokkaido Backcountry Club run a snowcat operation from Shimamaki village (about 2 hours from Niseko), with elevations up to 1,520 meters (Mt. Kariba), and descents averaging 450 vertical meters (expect to ride 3-6ooo vertical metres a day). 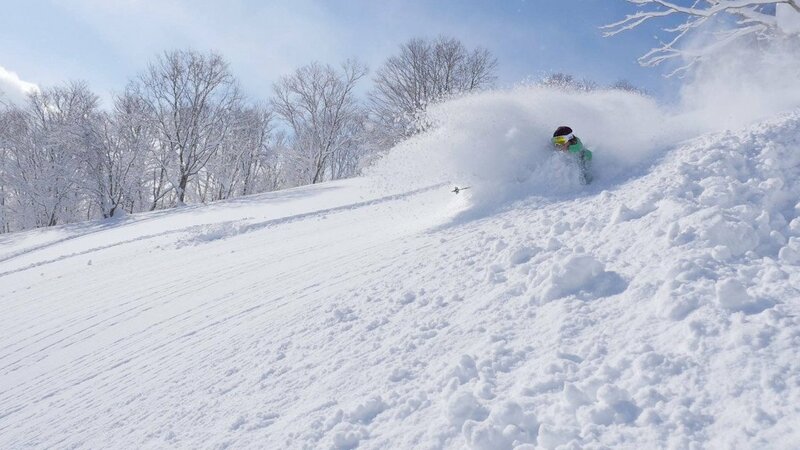 Japan is famously deep not steep, so while slope angles range between 15 – 35 degrees, snowfall exceeds 15 meters each season! At the end of the day, you can relax at the charming Motta Onsen or Chihasegawa Onsen hot spring lodges, and sample the local beer, sake and seafood. Travel: Fly to any international airport in Japan, then get a domestic flight to Sapporo. Hokkaido Backcountry Club can arrange your forward transfer from there. Chile is a weirdly long and skinny country, stretching along 4300km of South America’s western coast, next to the Pacific. 18 times longer than it’s widest point, it’s a land of stark contrasts, as the arid deserts of the north change to frigid wastes of Patagonia. Ski Arpa have the best cat skiing in the Southern Hemisphere, just 108 miles from Santiago and in the shadow of Mt. Aconcagua, the highest peak outside the Himalayas. 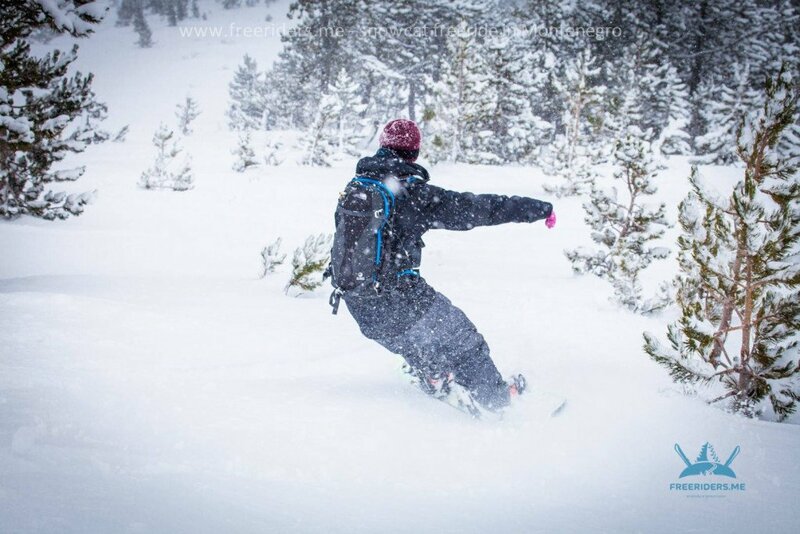 With 4000 acres of ridable terrain between 2700 and 3740m there’s no shortage of variety, with a range of alpine bowls, couloirs, cliffs and ridges to test the mettle of any skier or snowboarder. The season runs from mid June to mid October, but your best chances of good snow are July-September. Travel: Fly into Santiago airport, where Ski Arpa will collect you in a 4×4 and shuttle you up to the mountain. Given the name means ‘Black Mountain,’ you shouldn’t be surprised that the Balkan country Montenegro has some of the most rugged mountain terrain in Europe! High peaks run along its borders with Serbia, Kosovo and Albania, averaging more than 2,000 metres in elevation. Due to the hyperhumid climate on their western sides, the Montenegrin mountain ranges were among the most ice-eroded parts of the Balkan Peninsula during the last glacial period – as you can imagine, snow is not in short supply during winter! 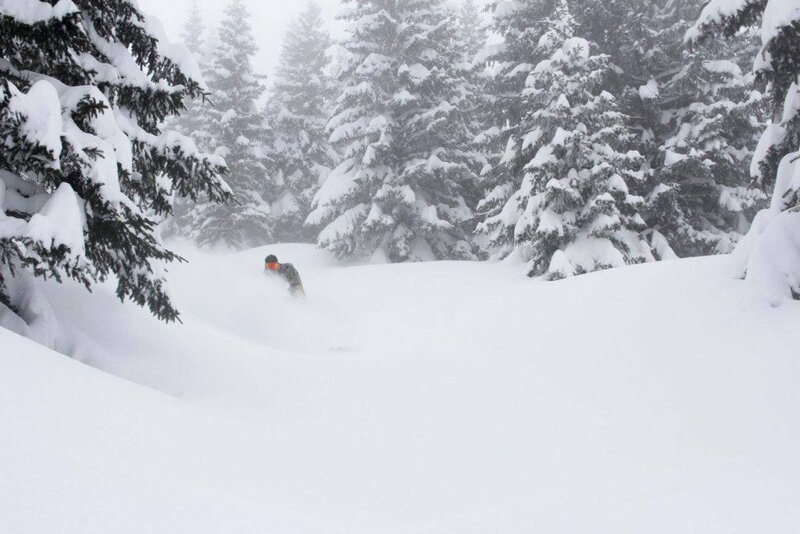 Snowcat Freeride Montenegro are based in the beautiful little town of Kolasin, and run cat skiing trips in the vast and varied terrain of the Dinaric Alps, much of which is yet to be discovered! The terrain is ideal for freeriding: beautiful tree runs, funnels and gullies, wide open bowls, steep technical couloirs, and rowdy pillow lines. There’s something for everyone, no matter the weather and snow conditions! Travel: Fly into Tivat or Podgorica airports. Freeride Montenegro will arrange a transfer from there.